NEW ITEMS! 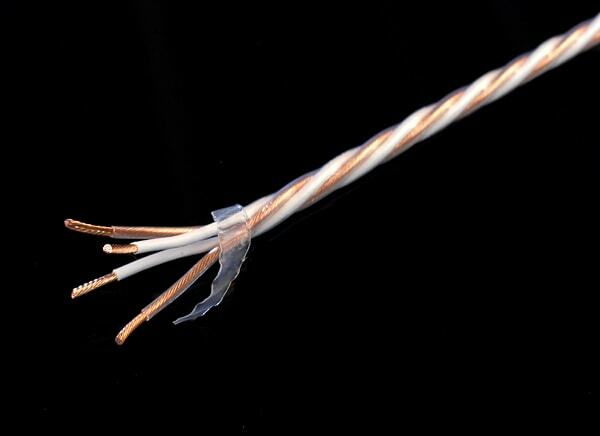 VH Audio's UniCrystal™ OCC (Ohno Continuous Cast) Copper wire with AirLok™ insulation. 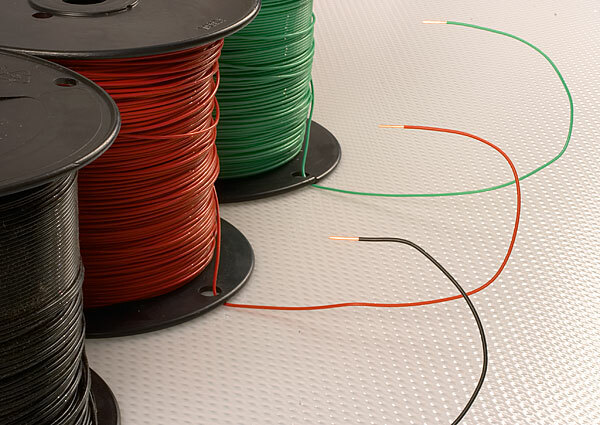 Our OCC wire is meticulously drawn through special dies, dead soft annealed in an inert nitrogen atmosphere, and follows special handling protocols to minimize any surface marring, before the insulation process begins. Our unique AirLok™ insulation is a proprietary form of foamed/cellular Fluoropolymer that achieves a dielectric constant of less than 1.45! 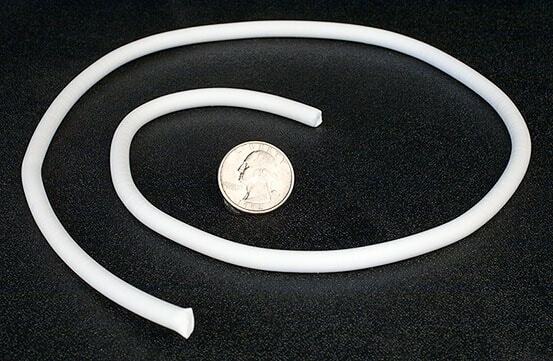 By comparison, the dielectric constant of solid fluoropolymers, such as DuPont PTFE, FEP, and PFA (referred to as Teflon®, when licensed from DuPont) is 2.1. A perfect vacuum is 1.0. May be stripped by simply using your fingernails- so no nicking of the conductor with a wire stripper! The AirLok™ insulation method is very difficult to implement, has taken several years to perfect, and is only available at VH Audio. Available in 18 AWG, 21 AWG, and 24 AWG for all your signal wiring projects- chassis signal wire, interconnects, or even speaker crossover wire. 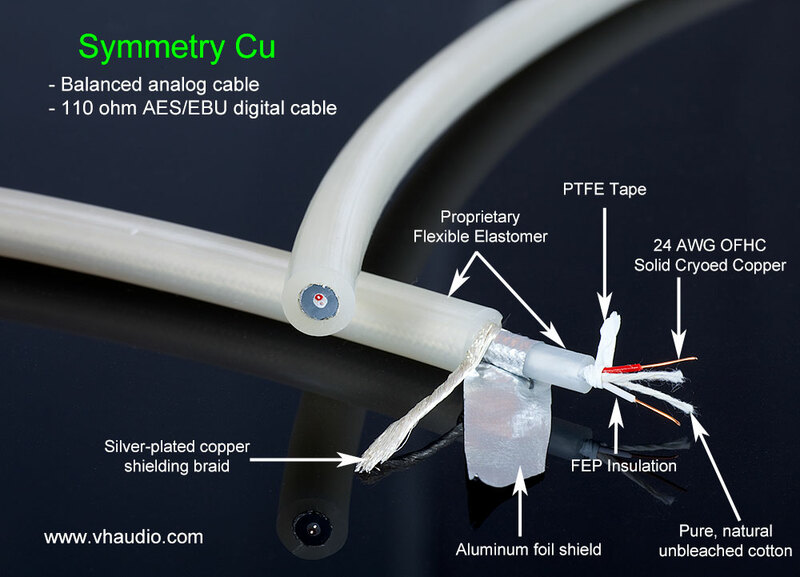 The VH Audio UniCrystal™ OCC copper wire uses a SINGLE solid core (no stranding). Insulation is rated to 600VDC. * Quantity discounting applies to this wire, and will be calculated automatically when added to the shopping cart. Discounts are applied as follows: 10% off the per foot price at 25 feet, another 10% off at 100 feet, and finally another 10% off at 250+ feet. VH Audio is pleased to offer UniCrystal™ OCC SILVER wire with AirLok™ insulation, available in 24, 21 and 18 AWG. All UniCrystal OCC Silver wire is also guaranteed purity of at least .99999 (99.999% or 5N). VH Audio's UniCrystal™ OCC (Ohno Continuous Cast) Silver wire is meticulously drawn through special dies, dead soft annealed in an inert nitrogen atmosphere, and follows special handling protocols to minimize any surface marring, before the insulation process begins. Our unique AirLok™ insulation is a proprietary form of foamed/cellular Fluoropolymer that achieves a dielectric constant of less than 1.45! By comparison, the dielectric constant of solid fluoropolymers, such as DuPontPTFE, FEP, and PFA (referred to as Teflon®, when licensed from DuPont) is 2.1. A perfect vacuum is 1.0. The AirLok™ insulation method is very difficult to implement, and has taken several years to perfect. May be stripped by simply using your fingernails- so no nicking of the conductor with a wire stripper! All UniCrystal™ wire is proprietary to VH Audio. Perfect for your signal wiring projects- chassis signal wire, interconnects, or even speaker crossover wire. 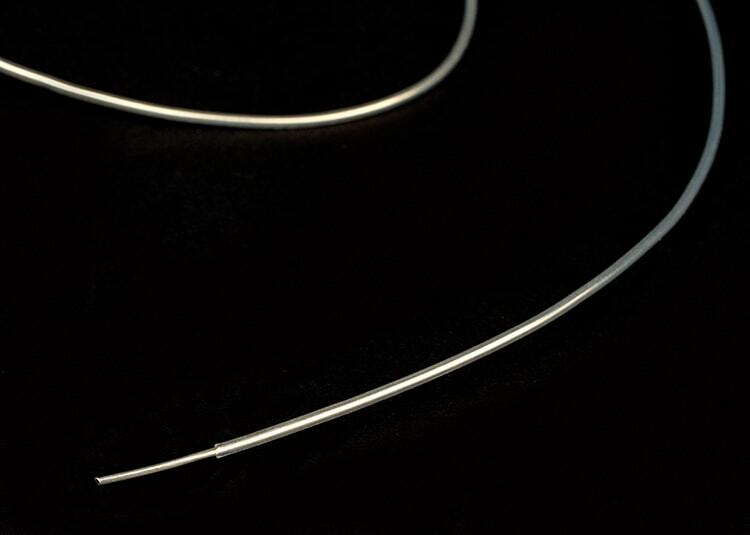 The VH Audio UniCrystal™ OCC silver wire uses a SINGLE solid core (no stranding). AirLok™ insulation is rated for use, up to to 600VDC. This natural, unbleached cotton insulated SOLID silver wire made of UniCrystal™ OCC (Ohno Continuous Cast) silver, is guranteed to be at least .99999 purity (99.999% or 5N). It is a single strand (not stranded wire). Our process draws the wire to physical tolerances at least five times tighter than many other wire manufacturers. This .99999 purity UniCrystal OCC silver wire is insulated with four alternating layers of natural (unbleached) cotton insulation. The individual fibers make minimal microscopic contact with the surface area of the silver, meaning less dielectric absorption... Cotton's vibration dampening and non-resonant properties are also very desirable. This wire is perfect for the VenHaus DIY Silver IC recipe. Want the PERFECT tubing for Chris VenHaus' DIY Silver IC recipe. 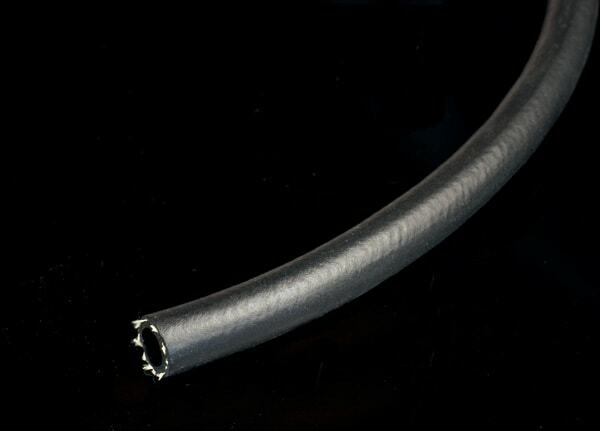 The VH Audio HyperFlex™ tubing is a proprietary formulation of porous fluoropolymer with an extremely low specific gravity and dielectric constant. The result is a tubing that is as flexible as spaghetti, with a D.C. of less than 1.3. By comparison, the dielectric constant of solid fluoropolymers, such as DuPont PTFE, FEP, and, PFA (referred to as Teflon®, when licensed from DuPont) is 2.1. A perfect vacuum is 1.0. Cross sectional rigidity is still maintained for excellent "anchor" when terminating to your favorite RCA connector. I recommend 1/2" heatshrink over the very end of the tubing, so the RCA housing screws of the ETI or WBT RCA's will "bite" into the heatshrink (rather than the wire). 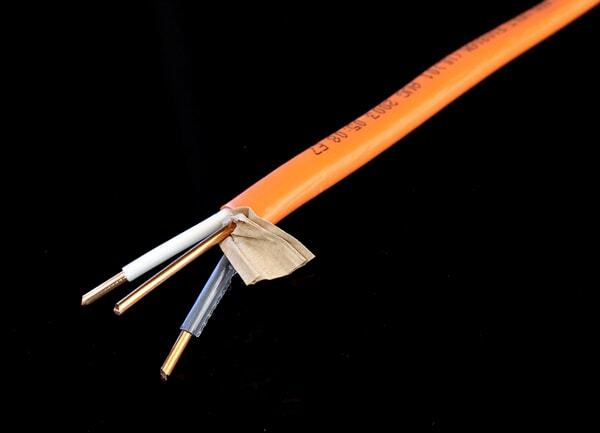 The VH Audio cryo-treated OFC (Oxygen Free Copper) hookup cable with AirLok insulation is designed to be used for INTERNAL chassis hookup wire (signal or power), speaker cable (in-wall, xover, external or inside speaker cabinet), or for DC umbilicals. 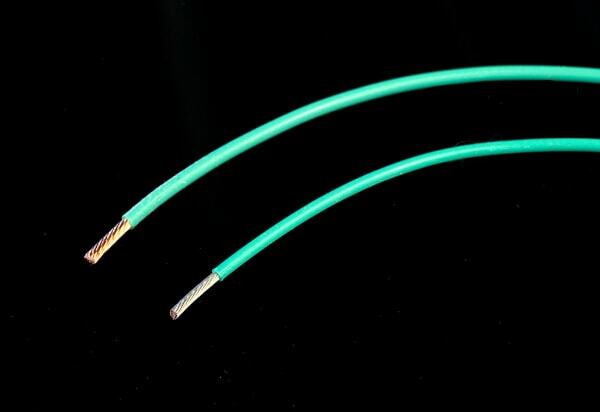 *** This wire is NOT designed to be used as external AC MAINS power cable, because the soft AirLok insulation is not designed to withstand the strain relief clamping pressure on most AC connectors. Insulation is rated for use up to 300VAC (power limited). There are two basic variants of this cable, available in various AWG (American Wire Gauge): Unshielded Twisted Pair (UTP), and Star Quad. 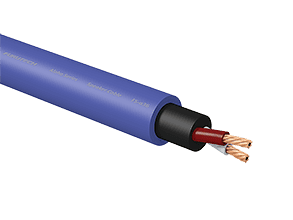 The Unshielded Twisted Pair construction utilizes a simple twisted pair of conductors, with each conductor having a low strand count (19 strands) of Deep Cryogenically Treated Oxygen Free Copper conductors. Each conductor uses VH Audio's AirLok™ dieletric, a proprietary form of foamed/cellular Fluoropolymer insulation with a dieletric constant (D.C.) of less than 1.5. A clear FEP Fluoropolymer jacket is applied over the twisted pair to keep the pair stabilized. >>> Available in 12 AWG, 14 AWG, and 16 AWG <<< Maximum Cable O.D. for each is as follows: 12 AWG = .275", 14 AWG = .235", 16 AWG = .20"
The Star Quad construction utilizes 4 conductors in a "Star Quad" geometry that has even better self-shielding than a simple twisted pair. Each of the 4 wires in the Star Quad bundle has a low strand count (19 strands) of Deep Cryogenically Treated Oxygen Free Copper conductors. Each conductor is insulated with VH Audio's AirLok™ dieletric, a proprietary form of foamed/cellular Fluoropolymer insulation with a dieletric constant (D.C.) of less than 1.5. A clear FEP Fluoropolymer jacket is applied over the Star Quad cable to keep the conductors stabilized. >>> Available in 4 x 12AWG or 4 X 18AWG <<< Maximum Cable O.D. for each is as follows: 4 x 18 AWG = .235", 4 X 12 AWG = .365"
* Quantity discounting applies to the VH Audio cryo-treated OFC hookup cables w/ AirLok insulation, and will be calculated automatically when added to the shopping cart. Discounts are applied as follows: 10% off the per FOOT price at 25 ft, another 10% off at 100 feet. ** This wire is NOT designed to be used as external AC MAINS power cable, because the soft AirLok insulation is not designed to withstand the strain relief clamping pressure on most AC connectors. Insulation is rated for use up to 300VAC (power limited). NEW ITEMS! 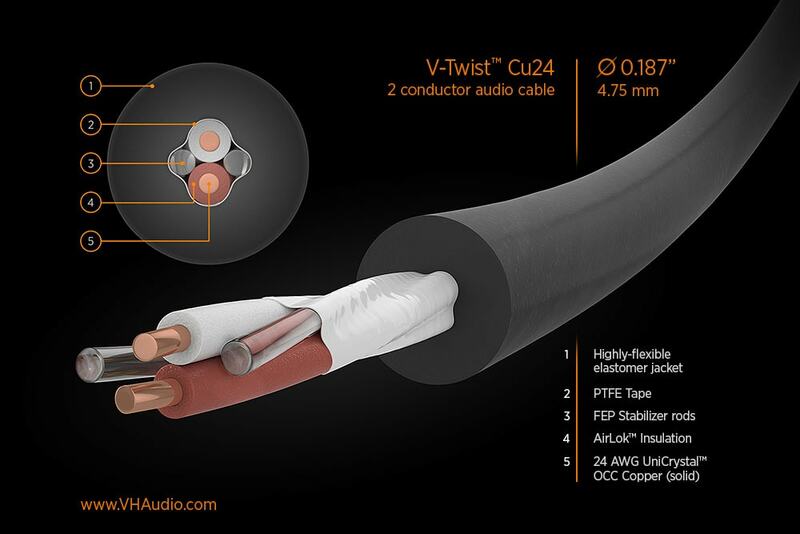 The VH Audio V-Twist ™ Cu24 interconnect cable is an unshielded twisted pair geometry that uses VH Audio's UniCrystal™ OCC copper wire for each of the two solid-core, 24 AWG conductors. Each of the conductors is insulated with VH Audio's AirLok™ dieletric, a proprietary form of foamed/cellular Fluoropolymer insulation with a dieletric constant (D.C.) of less than 1.5. FEP Fluoropolymer stabilizer rods are used to enhance the mechanical stability of the cable, and optimize resonance control. PTFE tape securely binds the internal assembly together, to minimize inter-conductor micro-movements. Aproprietary ultra-flexible jacket derived from the formula for VH Audio's AirSine power cable is used to further buffer internal, as well as external resonances/vibrations. The VH Audio V-Twist Cu24 analog interconnect is recommended for any analog interconnect cable application, and may also be used as the core for any unshielded balanced (XLR) cable, when you add a counter-spiraled ground around the outside of the jacket of at least 24 AWG. The V-Twist Cu24 may be also used as signal hookup wire inside components, and can easily handle the higher heat environments of vacuum tube electronics, with a sustained temp rating of 150 degrees C. Lastly, this wire may be used as hookup wire from your speaker crossover to your tweeter. Outside diameter is .187", and the V-Twist Cu24 capacitance is extremely low, at 11.13 pF per foot, while achieving moderate inductance of just .192 uH per foot. DC Resistance is 26.06 mOhms per ft, for each conductor. MSRP on the V-Twist Cu24 is $17.99 per ft, but VH Audio is offering an introductory special (for a limited time) at $14.99 per foot. NEW ITEMS! 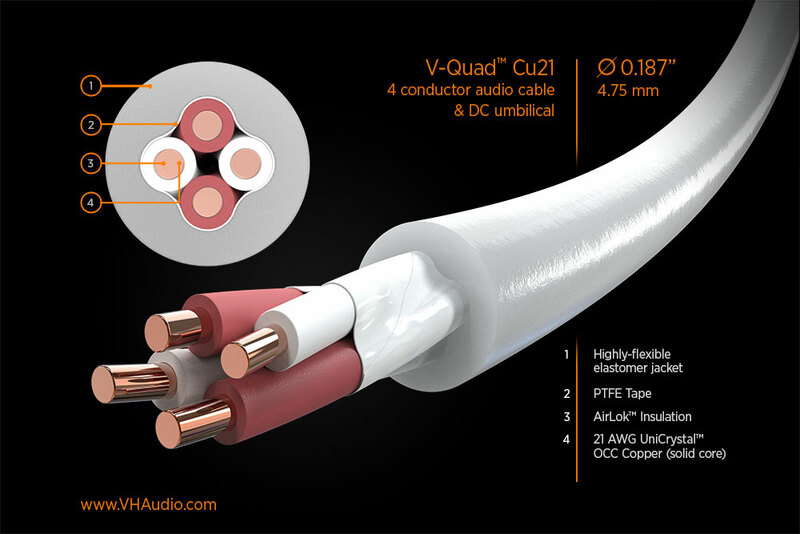 The VH Audio V-Quad™ Cu21 (4 x 21 AWG) and Cu24 (4 X 24 AWG) analog interconnect cables each use VH Audio's UniCrystal™ OCC copper for each of the 4 single conductors, arranged in a Star Quad geometry. The V-Quad Cu21 and the V-Quad Cu24 each use solid core conductors (not stranded). Each of the conductors is insulated with VH Audio's AirLok™ dielectric- a proprietary form of foamed/cellular Fluoropolymer insulation with a dieletric constant (D.C.) of less than 1.5. The conductors are arranged in a low inductance "star quad" geometry that is ideal for analog interconnects that need a self shielding fgeometry (but don't need a full shield), DC umbilical cables, and hookup wire from loudspeaker crossovers to tweeters and midrange drivers. 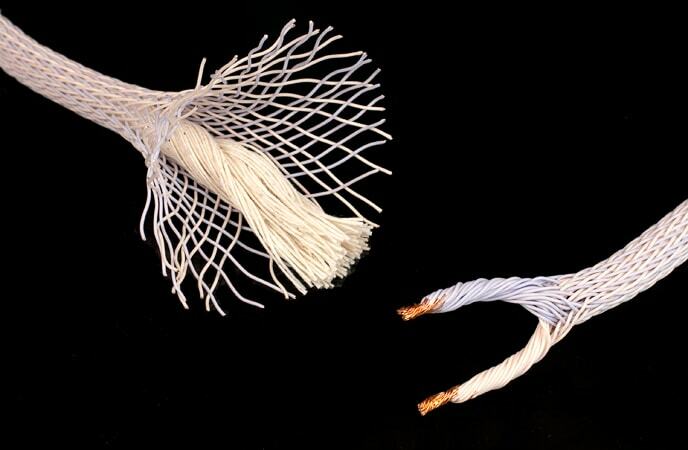 At the core of the V-Quad Cu24 cable, natural cotton is used to buffer micro-vibrations. The entire Star Quad bundle is then wrapped securely, with two layers of PTFE, to constrain inter-conductor micro-movements. Finally, VH Audio's proprietary ultra-flexible jacket (derived from the formula for VH Audio's AirSine power cable) is used to further buffer internal, as well as external resonances/vibrations. 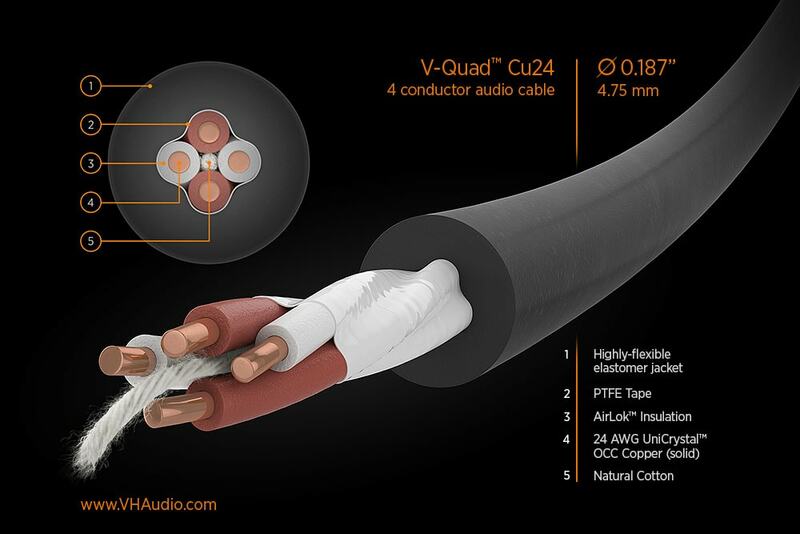 The VH Audio V-Quad Cu24 is recommended for headphone cables, internal speaker crossover hookup wire (tweets and mids), line-level / phono analog interconnect applications, or signal hookup wire inside electronic components. The V-Quad Cu21 is ideal for DC umbilicals, internal speaker crossover hookup wire (tweets and mids), line-level analog interconnect applications, or signal hookup wire inside electronic components. The maximum sustained temperature rating of 150 degrees C means it can be used confidently inside vacuum tubed electronics. The VH Audio Pulsar miniature coaxial cable is designed for shielded analog interconnects as well as SPDIF digital interconnects, which require 75 ohm impedance. 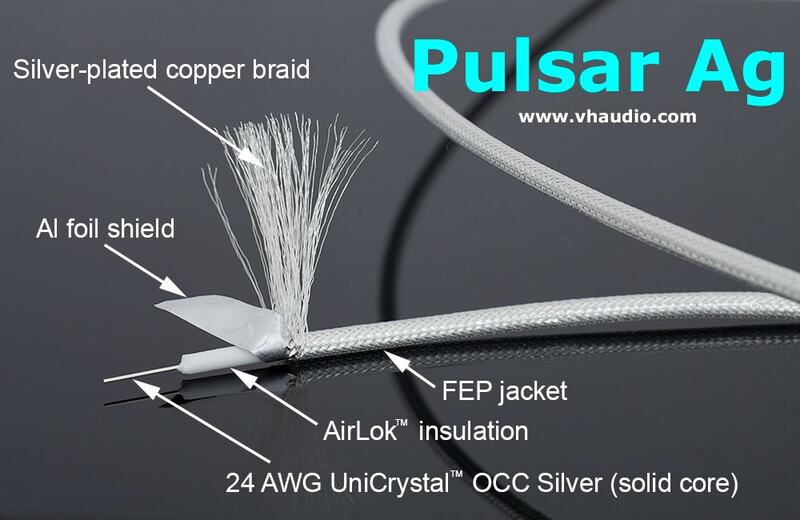 All versions of the Pulsar provide double-shielding, with foil and a SILVER-plated copper braid. The silver plated braid adds the benefit of a low impedance path to ground, and preserves the high-end "sparkle" missing in many copper-based analog IC's. All Pulsar variants also use a thin, solid FEP dielectric with no pigments (clear) for the jacket material. * Quantity discounting applies to the Pulsar Cu, as follows, and will be automatically calculated when you add to the shopping cart: 15% off the per METER price at 2 meters, another 10% off at 10 meters, and yet another 10% off at 30+ meters. 2)NEW ITEM! VH Audio is very pleased to announce the Pulsar Cu II. The Pulsar Cu II is identical to the Pulsar Ag (below), but uses a solid 24 AWG UniCrystal OCC copper center conductor. 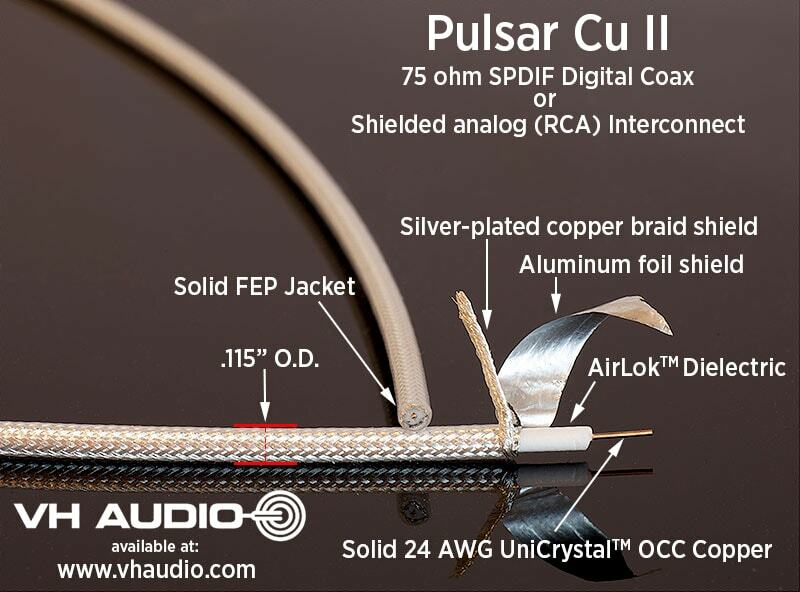 The Pulsar Cu II is VH Audio's 'Statement' copper based design for true 75 ohm digital SPDIF applications, and its use for shielded analog interconnects is so profoundly good- it will compete favorably with ANY shielded interconnect on the market, regardless of price. At the core of the Pulsar Cu II is VH Audo's UniCrystal™ 24 AWG high purity SOLID UniCrystal OCC Copper conductor, manufactured using the OCC process (Ohno Continuous Cast). This process results in a conductor without the typical grain boundaries of conventional wire processing methods. The UniCrystal™ copper wire is then annealed to a dead soft state (in an inert nitrogen atmosphere), further improving sonic performance. Next, VH Audio's proprietary AirLok™ dielectric is applied as the core, in order to achieve the correct, consistently precise impedance of 75 ohms. In fact, this step is performed with such precision that 2-3X the finished length of cable may end up as "scrap" during the production process, as the AirLok™ is "dialed-in" to the correct parameters. The AirLok™ dielectric is VH Audio's proprietary form of foamed/cellular Fluoropolymer that achieves a dielectric coefficient of 1.4. By comparison, the dielectric constant of solid fluoropolymers, such as DuPont PTFE, FEP, and, PFA (referred to as Teflon®, when licensed from DuPont) is 2.1. A perfect vacuum is 1.0. A foil shield is applied over the AirLok™ core, followed by a shielding braid of 40 AWG silver-plated OFHC copper. Lastly, a very thin clear FEP jacket is applied. Outside diameter is only .115", and the cable is quite light and flexible. Capacitance = 16.22 pF per foot. QUANTITY DISCOUNTS APPLY FOR LENGTHS GREATER THAN 1 METER. * Quantity discounting applies to Pulsar Cu, and will be calculated automatically when added to the shopping cart. Discounts are applied as follows: 15% off the per METER price at 2 meters, another 10% off at 10 meters, and yet another 7% off at 30+ meters. 3)NEW ITEM! VH Audio is very pleased to announce the Pulsar Ag. The Pulsar Ag is the culmination of nearly 6 years worth of R&D effort to make a 75 ohm SPDIF digital cable that would set a new bar for digital performance. As a result, the Pulsar Ag is VH Audio's Statement design for true 75 ohm digital SPDIF applications, and its use for shielded analog interconnects is so profoundly good- it will compete favorably with ANY shielded interconnect on the market, regardless of price. At the core of the Pulsar Ag is VH Audo's UniCrystal™ 24 AWG .999999 purity (99.999% or 5N) SOLID OCC Silver conductor, manufactured using the OCC process (Ohno Continuous Cast). This process results in a conductor without the typical grain boundaries of conventional wire processing methods. Next, VH Audio's prorietary AirLok™ dielectric is applied as the core, in order to achieve the correct, precise impedance of 75 ohms. In fact, this step is performed with such precision that 2-3X the finished length of cable may end up as "scrap" during the production process, as the AirLok™ is "dialed-in" to the correct parameters. The AirLok™ dielectric is VH Audio's proprietary form of foamed/cellular Fluoropolymer that achieves a dielectric coefficient of 1.4. By comparison, the dielectric constant of solid fluoropolymers, such as DuPont PTFE, FEP, and, PFA (referred to as Teflon®, when licensed from DuPont) is 2.1. A perfect vacuum is 1.0. 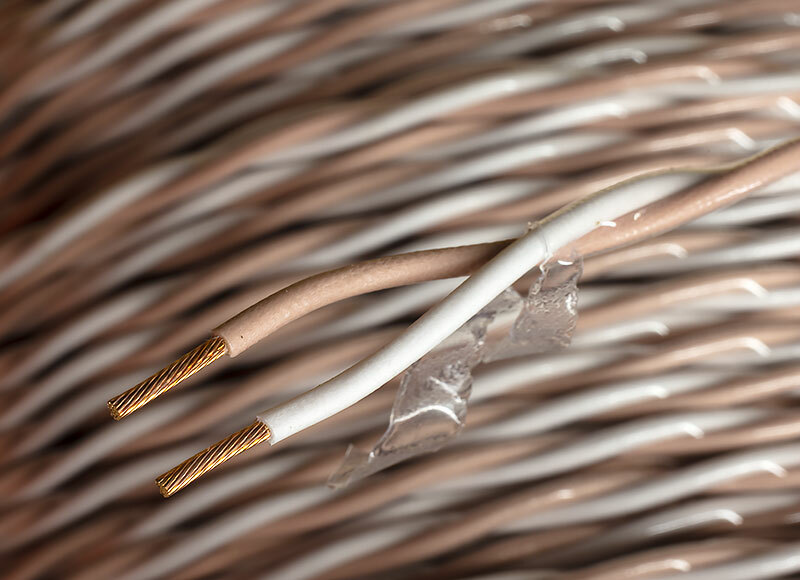 A foil shield is applied over the AirLok™ core, followed by a shielding braid of 40 AWG silver-plated OFHC copper. Lastly, a very thin clear FEP jacket is applied. Outside diameter is only .110", and the cable is quite light and flexible. Capacitance = 16.7 pF per foot. QUANTITY DISCOUNTS APPLY FOR LENGTHS GREATER THAN 1 METER. Click for annotated diagram of Pulsar Ag. * Quantity discounting applies to Pulsar Ag, and will be calculated automatically when added to the shopping cart. Discounts are applied as follows: 15% off the per METER price at 2 meters, another 10% off at 10 meters, and yet another 7% off at 30+ meters. NEW ITEMS! The VH Audio Symmetry Cu balanced analog (XLR) or digital (AES/EBU) interconnect cable is a minimalist twisted pair design that uses a single 24 AWG solid pure copper wire (Deep Cryogenically treated) for the signal conductors. These 24 AWG copper conductors are insulated with solid FEP insualtion, in order to maintain precise spacing and prevent deformation of insulation when the cable is bent. This means the ideal 110 ohm impedance will stay consistent, even for longer runs and awkward or tight bends. Natural unbleached cotton, PTFE tape and a proprietary ultra-flexible core material are used to buffer mechanical resonances, as well as provide flexibility. 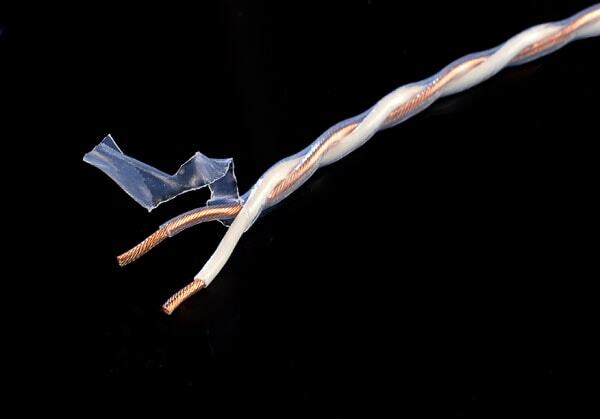 The inner core of the cable has been designed to space away the interconnect's shield/ground (foil and silver plated copper) from the critical signal carrying conductors. The Symmetry Cu interconnect is recommended for any analog balanced (XLR) or or digital (AES/EBU) application. HIGHLY RECOMMENDED with Furutech FP-601M and FP-602F connectors (We like gold for analog and rhodium for digital). Just add some 3/8" techflex for a professional look. Cable O.D. is .36"
Bulk price discounts on this cable are applied when you add to the cart. Quantity breakpoint pricing applies at 2 meters (20% off 1 meter pricing) and 6 meters (10% off 2-5 meter pricing). * Quantity discounting applies to this wire, and will be calculated automatically when added to the shopping cart. Discounts are applied as follows: 20% off at 2 meters, and an additional 10% off at 6+ meters. The Furutech FA-aS22 bulk interconnect cable (aka Furutech FA Alpha S22) is the newest bulk interconenct cable by Furutech, and replaces the Furutech FA-220. This is Furutech's best/flagship bulk interconnect cable offering. Furutech's α (Alpha) OCC copper is made with high-purity oxygen-free copper using a special Ohno Continuous Casting process. The FA Alpha S22 uses a shielded twisted pair geometry, with each conductor insulated with a special grade of polypropylene. 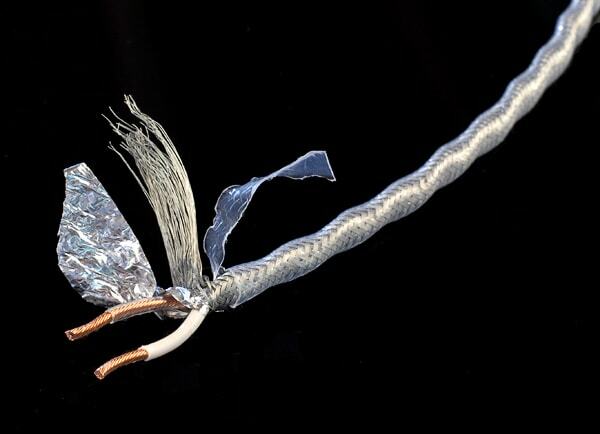 Each conductor leg is stranded @ 60 strands of 33 AWG material, for an aggregate AWG of about 15.3 AWG. The FA Alpha S22 then uses cotton dampening material, a paper sheath, an inner PVC sheath with carbon dampening particles, braided shield, and outer PVC sheath. Total diameter is about 9mm. The Neotech NEI-3002 is a balanced twisted pair style cable which incorporates the UP-OCC copper technology with a polyethylene dielectric, copper/mylar foil shield, as well as an OCC copper braided shield for the ultimate in signal transmission and shielding. 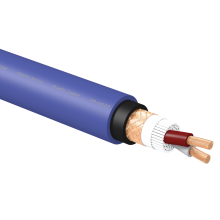 The overall outside diameter of NEI-3002 cable is .42" (10.7mm). The large O.D. of this cable means the WBT-0152 series NextGen connectors will mate best with this cable. Shielded Twisted Pair (12 AWG X 2)is recommended for digital components and is specially manufactured for the Flavor 1 and Flavor 3 DIY Power Cords, by Chris VenHaus. It consists of a tightly twisted pair (one twist per inch) of 12 AWG FEP insulated copper conductors, creating a low inductance/high capacitance configuration prone to reject RFI/EMI. Each 12 AWG conductor is made with 19 strands of 25AWG bare copper, which means excellent contact area when secured to AC plugs. The internal twisted conductors are shielded with a special foil and tinned copper braid, for maximum RFI rejection. Lastly, a clear FEP jacket encapsulates the shielded pair bundle to keep relative movements of the conductors to a minimum. Deep Cryogenic treatment. 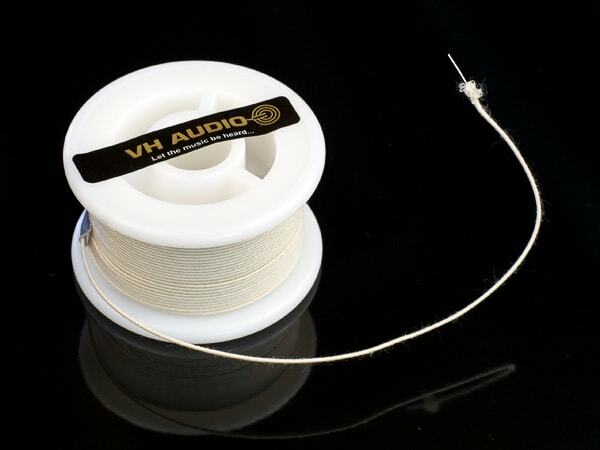 Cable is custom made to VH Audio's specifications, and is ONLY available at VH Audio. UNSHIELDED Twisted Pair (12 AWG X 2) is recommended for analog components and is specially manufactured for the Flavor 2 DIY Power Cord, by Chris VenHaus. It consists of a tightly twisted pair (one twist per inch) of 12 AWG FEP insulated copper conductors, creating a low inductance/high capacitance configuration prone to reject RFI/EMI. Each 12 AWG conductor is made with 19 strands of 25 AWG bare copper, which means excellent contact area when secured to AC plugs. Lastly, a clear FEP jacket encapsulates the twisted pair to keep relative movement of the conductors to a minimum. Deep Cryogenic treatment. Cable is custom made to VH Audio's specifications, and is ONLY available at VH Audio. Star Quad (12 AWG X 4) is what VH Audio uses for it's Flavor 4 Power cable, and is also excellent when used as a speaker cable. It consists of FOUR 12 AWG FEP insulated copper conductors, tightly twisted into a Star Quad geometry, creating a low inductance/high capacitance configuration prone to reject RFI/EMI. Each of the four 12 AWG conductors is made with 19 strands of 25 AWG bare copper, which means excellent contact area when secured to AC plugs. Lastly, a clear FEP jacket encapsulates the four conductor bundle to keep relative movement of the conductors to a minimum. The Star Quad geometry concentrates the electrical field towards the CENTER of the conductor bundle, making this a self-shielding cable. Deep Cryogenic treatment. Cable is custom made to VH Audio's specifications, and is ONLY available at VH Audio. Single Ground wire (12 AWG and 10 AWG)is what VH Audio uses for the safety ground wire in all its power cables, except for the AirSine. The 12 AWG version consists of 19 strands of FEP insulated 25 AWG copper, while the 10 AWG version consists of 19 strands of FEP insulated 23 AWG copper. 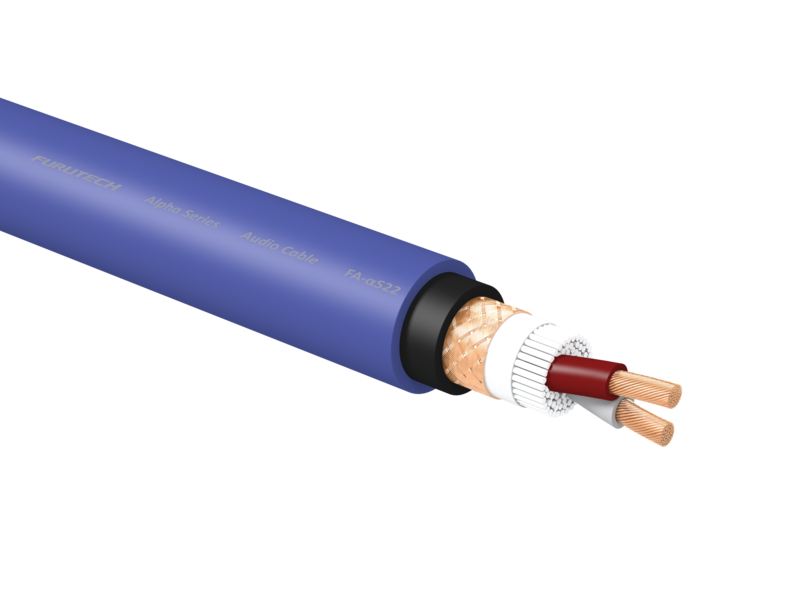 10-2 Cryogenically Treated Romex (10 AWG) is fantastic for dedicated lines and is UL approved for in-wall AC power use. Deep Cryogenic treatmentusing a proprietary process developed in conjunction with VH Audio. Synthetic Rubber Hose (3/8" I.D. X 5/8" O.D.) is recommended for DIY Flavor 2 Power Cords, and is also used for VH Audio's Flavor 4 power cable. It has been chosen for its flexibility, vibration dampening ability, and its ability to be torqued easily compared to other hose with these dimensions. Color is BLACK. 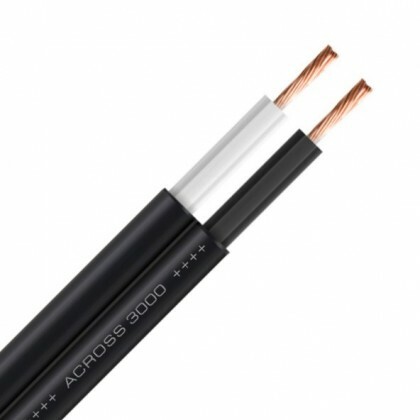 Acrolink 7N-P4030 II power cable is made with .9999999 (99.99999%) purity stress free stranded copper (10 AWG X 3). Glow Discharge Mass Spectrometry - an extremely powerful tool for performing ultra-trace elemental analysis has been applied to determine the purity of the copper in the Acrolink 7N-P4030 conductors. The Acrolink 7N-P4030 also uses a new polymer polyolefin insulation, and resonance absorbing material for maximum performance. The Acrolink 7N-P4030 is more flexible than the Oyaide Tunami, or Neotech NEP-3001 and is about the same flexibility as the Neotech NEP-3003. This cable has a copper foil shield. 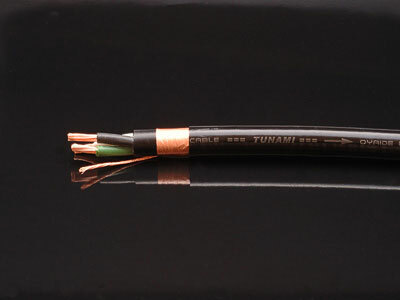 Furutech FP-TCS21 (14 AWG) and FP-TCS31 (12 AWG) PC-Triple C are new cables developed by Furutech's engineers, using Furukawa high-purity oxygen-free copper as well as a unique, new forging process. Unlike typical OFC (oxygen-free copper), nearly all the impurities have been removed through a special casting process unique to Furukawa. Designed specifically for audio signal conductors, Furutech's (Alpha) PC-Triple C is flexible, strong and can be optimally drawn into very fine wire. This new Triple C conductor features crystal grain boundaries that are almost completely free of impurities, allowing the most micro-level information to be effortlessly transmitted. Furutech (Alpha) PC-Triple C employs a fixed angle continuous transport forging process, pressure is applied to the high purity OFHC tens of thousands times. This ensures that any crystal grain boundaries that were present in a vertical direction become longitudinal, and the crystals become connected and uniform in their direction. The resulting conductor has an extremely fine resolution down and through the very low noise floor, improved sound staging and image palpability, a musical, attractive, “round” midrange, tight and controlled bass, plus power and dynamics. Flexibility is good for both cable variants. Furutech FP-S022N (14 AWG), FP-S032N (12 AWG), and FP-S55N (10 AWG) power cables developed with Furutech’s newest formulation of gold and silver Nano Liquid. The molecules in the Nano Liquid are so small (approximately 8/1,000,000th of a millimeter) that they finely coat the conductors and smooth out microscopic surface irregularities that can affect signal transfer and impedance. This means, greater contact area for the conductors. Nano Liquid is created by precisely mixing super-micro particles made of both gold and silver, along with a dispersion of Squalene oil. Furutech’s engineers discovered that they could affect sound quality by carefully varying the relative ratios of gold, silver and oil. Extensive testing then followed, until the optimum ratio was achieved. They essentially ‘tuned’ the Nano Liquid to deliver the most balanced, musical sound achievable. The NanoLiquid further heightens the performance of Furutech's Alpha-OFC conductors, which also utilize a patented two-step cryogenic and demagnetization process for superior signal transfer. Flexibility is good for both the FP-S022N as well as the FP-S032N, but the FP-S55N is a bit stiffer due to it's large girth. The new Furutech DPS-4.1 (11 AWG), power cable is Furutech's newest, top of the line bulk power cable, issued as a 'limited edition' design. The DPS-4 Alpha) OCC–DUCC is constructed using a combination of DUCC Ultra Crystallized High Purity Copper and Furutech’s (Alpha) OCC. Furutech's DUCC Ultra Crystallized High Purity Copper is supplied and regulated with strict quality control by Mitsubishi Materials Industries. MMI is a leading manufacturer of the highest-purity oxygen-free copper in the world. Mitsubishi's process uses pure oxygen-free copper with new technology that optimally aligns the crystals while reducing the number of crystal-grain boundaries. Specifications: Conductor Material Alpha-OCC + DUCC (7N Class). Insulation Inner Material Audio Grade FEP (Fluoropolymer) Outer Material Audio Grade P.E. Nano / Ceramic / Carbon particle compound. Overall Diameter 17.0 mm. Flexibility is excellent, and much better than typical for a cable of this diameter. * Please note that there is NO DIFFERENCE between the older DPS-4 vs the newer DPS-4.1, other than the color of the jacket (pink vs purple). The Neotech NEP-3200 is a 9AWG UP-OCC (ohno continuous cast) Copper AC power cable, that uses 16 solid copper wires that are each 17 AWG. Each of these solid core wires is individually insulated with FEP (fluoropolymer) insulation. Each wire is woven around a fiber-filled PVC core to maintain structural integrity, and minimize conductor movement. The Neotech NEP-3200 is among the best bulk cables on the market, and is especially ideal for high current amplifiers, as well as feeding power strips or line conditioners. Use the 6 red color-coded conductors for 'hot', 6 blue conductors for 'neutral', and 4 black conductors for the 'safety ground'. Total O.D. is .614" (15.6mm). Oyaide Electric, with the experience gained from a long history of cable design, has developed a reference quality power cable called the Tunami. The cable is constructed using PCOCC-A wire using advanced heat control and extrusion technology. The Tunami utilizes a 5.5 sq. mm conductor core that is rated up to 30 amps and can take up to 600 volts A/C. In addition, it has a unique 3 layer shielding system to not only to shut out external noise but also to suppress internal noise, resulting in a very low noise floor. 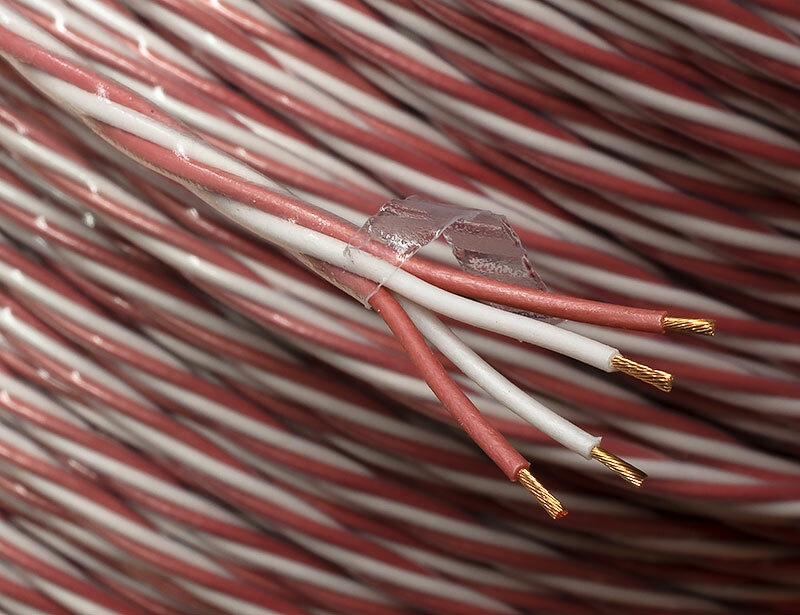 The CHeLA OCC speaker cable is made of 48 individually insulated 24 AWG SOLID OCC (Ohno Continuous Cast) copper conductors that are insulated with VH Audio's AirLok™ dielectric. VH Audio's AirLok™ dielectric is a proprietary form of foamed/cellular Fluoropolymer that has a dielectric constant of LESS than 1.5 and an extremely low dielectric absorption. The 48 OCC copper conductors are braided into VH Audio's Counter Helical Litz Array TM geometry (C.He.L.A.) around a core containing strands of unbleached cotton. This special self-shielding speaker cable geometry results in very low inductance (.011 uH*), reasonable capacitance (230 pF*), and low DCR (1.35 milliohms per foot*). Additionally, the CHeLA geometry results in more symmetrical field interaction between strands vs. conventional braided designs. Aggregate AWG for each grouping of 24 conductors is 11 AWG, and approximate cable diameter is 3/4"
NEW ITEM! Furutech (12 AWG) FS Alpha 36 Speaker cable, is now available in bulk, by the linear foot! Furutech FS Alpha 36 (12 AWG) Audiophile Speaker Cable uses Furutech's Alpha OCC copper wire in its construciton (unplated). Alpha OCC is one of a select few of conductors that Furutech engineers have found to excel in sound reproduction. The FS ALPHA 36 speaker cable's OCC conductor is made using high-purity, oxygen-free copper using a special casting process. Unlike standard OFC, almost all of the impurities of this high-purity OCC have been removed at the micron level through a special casting process unique to Furutech. The new Furutech DSS-4.1 (11 AWG) Speaker Cable is Furutech's newest, top of the line bulk speaker cable, issued as a 'limited edition' design. The DSS-4.1 is essentially identical to the Furutech DPS-4.1 POWER CABLE, but it omits the safety ground, thus reducing cost. 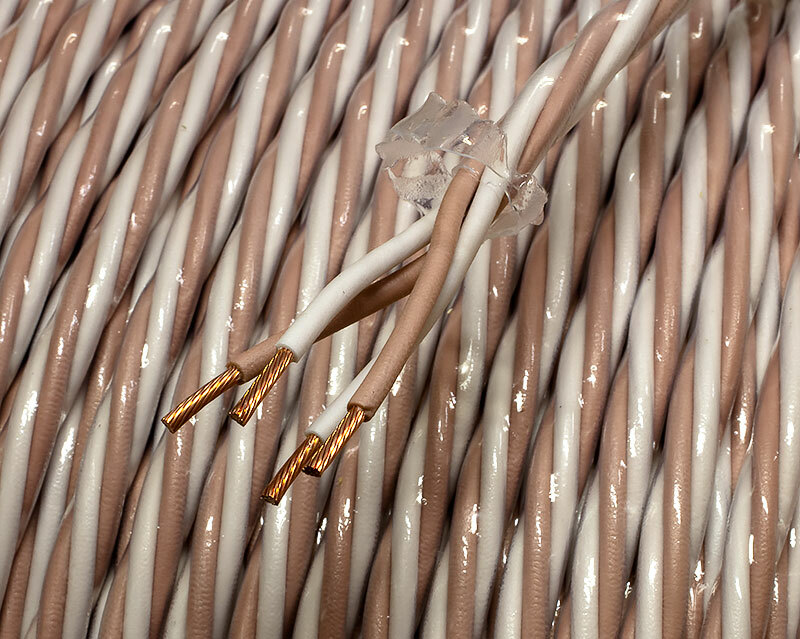 The DSS-4.1 OCC–DUCC bulk Speaker Cable is constructed using a combination of DUCC Ultra Crystallized High Purity Copper and Furutech’s (Alpha) OCC. Specifications: Conductor Material Alpha-OCC + DUCC (7N Class). Insulation Inner Material Audio Grade FEP (Fluoropolymer) Outer Material Audio Grade P.E. Nano / Ceramic / Carbon particle compound. Overall Diameter 19.0 mm. 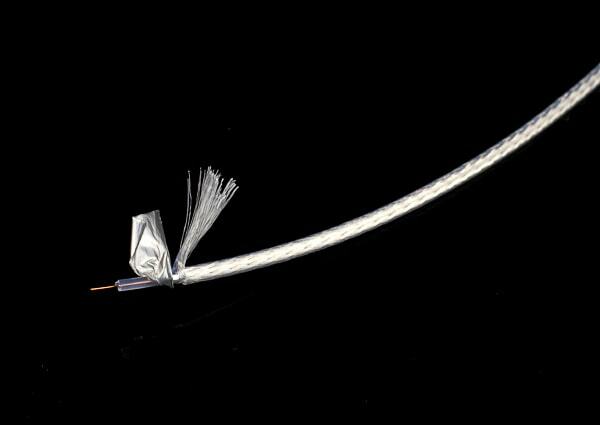 * This cable comes with a textile sheath/covering which is soft to the touch, and very attractive. This cable has a shield, but is designed not to need connection at either end, per Furutech's recommendation. The Furutech Cable Splitters (sold separately) for the DSS-4.1 are packaged as a set of 4, for one pair of completed cables and make a great 'breakout boot' for the + and - pigtails. The Oyaide Across 3000 speaker cable was created using the experience gained from Oyaide's long history of cable design. The new Oyaide Across 3000 is constructed using 'precision conductor 102 SSC' conductor, as well as advanced heat control and extrusion technology. The Across 3000 utilizes a 3.0 sq mm conductor (about 12.4 AWG) and advanced technology for vibration control. This is a low capacitance speaker cable design, that works exceptionally well for LONG runs, where other higher capacitance cables may cause amplifier instability.